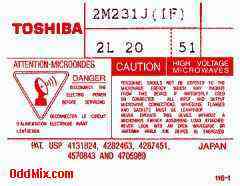 This is a genuine Toshiba 2M231J magnetron high power microwave oscillator vacuum tube. This is a hard to find and DANGEROUS replacement tube for microwave ovens like the Welbilt MR76T and others. Also useable for many other experiments, show-and-tell and for instruments, super high-frequency power amplifier devices and parts source. 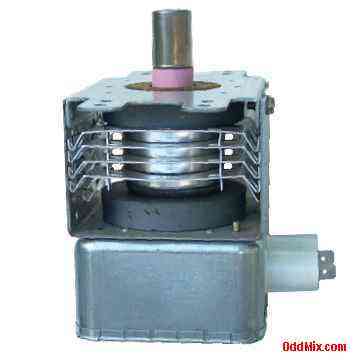 It has two strong toroid shaped magnets. Data For Reference Only - no longer available! • Caution! - DANGEROUS Tube - Read label!